So, now that you’re somewhat familiar with the first two steps of your dealer’s kitchen sales process (which we discussed in part 1 of this series), you should only have two more steps to go. At this point, you should already be well acquainted, your dealer should have a great understanding of what it is you’re looking for in your project, and if they’re on point, they will have already performed the in-home measure and made some suggestions for creative design solutions. Now we get to the fun part where your project begins to unfold before your very eyes…matching and making the deal. Before going any further, your kitchen salesperson should make sure they have a completely clear understanding of what you want to get out of your kitchen project. They should have identified key problems that they’re solving and made you feel confident that you’re going to get what you’re looking for in a price range that is suitable to you. Now’s their moment of truth. During the “Match,” your designer should present you with three designs. If they’ve listened well and you have communicated openly, three designs should be all that is needed to wow you. While some may go slightly over your budget, they should be within range. Even if there are some aspects you don’t like about a design, allow your designer the courtesy of presenting their work fully. They may know something you don’t know about your own kitchen, so let them explain their mindset on each detail. During the Match Phase, the designer will likely discuss time-frame with you. Make sure they have a clear understanding of your time-frame, and that their plan works with it (while being realistic). This is a good time to also discuss possible delays and how they may affect your project time-frame. Now that the designs have been presented, it is your time to speak up. Your dealer should ask you for your honest opinions and feedback regarding their designs. Be open, as the only way they can know how you’re feeling is if you tell them straight up. It’s here that you also should make a serious decision of whether or not you’d like to continue moving forward with this dealer. Your salesperson should set clear next steps with an associated time-frame. Their time is valuable, as is yours. If you’ve made it this far, you were probably pleased with at least one of the three designs that were presented. The Make the Deal Phase should be the final stage of the kitchen sales process where all of your final questions are answered and all last minute concerns are resolved. Your kitchen salesperson will review all prior commitments, and it’s common for them to ask for a decision to be made after this discussion. Paperwork usually comes into play during the final step as well, but only if you’re confident that your needs have been met. This final step should be well planned out and organized so that you feel comfortable and confident in making your decision. 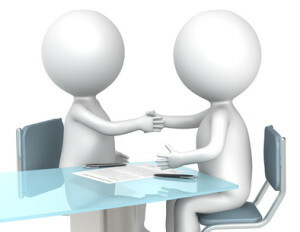 This is the step where you decide whether or not to move forward with the project and purchase from this salesperson. You do have an opportunity to walk away, but always be honest with your salesperson either way, so that if there is anything they can do, they will; or at least to give them peace of mind. After these four steps in the kitchen sales process, you should have a clear understanding of what’s going to be done, your project timeframe, payment schedule, permits needed, who you’ll be working with, etc. Remember to communicate with your dealer throughout the process to ensure everything goes as smoothly as possible. If your dealer had a well organized plan like the one we summarized above, you should be in great hands.